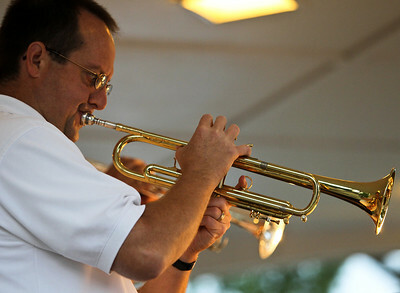 Josh Peckler - Jpeckler@shawmedia.com A member of the Mchenry City Jazz Band plays his trumpet during the Fiesta Days Concert in the Park at Veteran's Memorial Park in Mchenry Thursday, July 19, 2012. Josh Peckler - Jpeckler@shawmedia.com Maraya Januszewski, 12 of Bully Valley dances with her cousin Evan Bride, 3 of Mchenry as they listen to music at the Fiesta Days Concert in the Park at Veteran's Memorial Park in Mchenry Thursday, July 19, 2012. 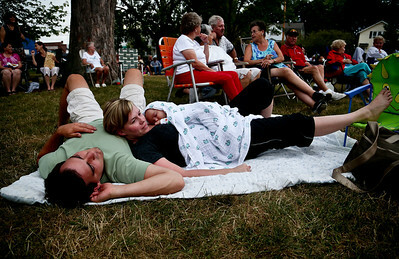 Josh Peckler - Jpeckler@shawmedia.com Molly Degroh of Mchenry lays on her husband Alex with their two-month old son Monty as they listen to music at the Fiesta Days Concert in the Park at Veteran's Memorial Park in Mchenry Thursday, July 19, 2012. 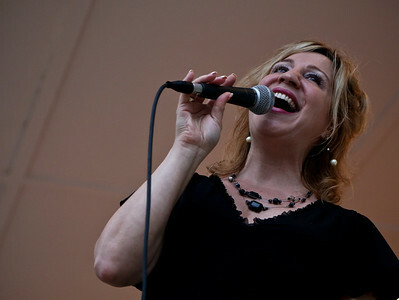 Josh Peckler - Jpeckler@shawmedia.com Maureen Christine of Mchenry sings with the Mchenry City Jazz Band during the Fiesta Days Concert in the Park at Veteran's Memorial Park in Mchenry Thursday, July 19, 2012. 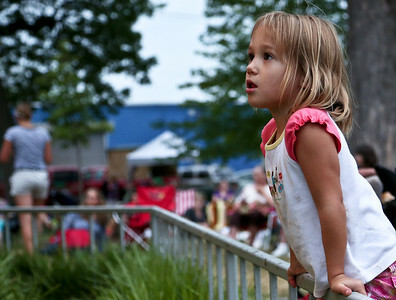 Josh Peckler - Jpeckler@shawmedia.com Sloan Karasek, 4 of Mchenry leans on a railing while listening to the Mchenry City Jazz Band during the Fiesta Days Concert in the Park at Veteran's Memorial Park in Mchenry Thursday, July 19, 2012. 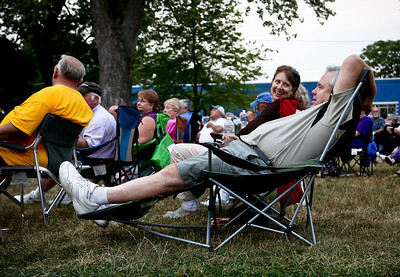 Josh Peckler - Jpeckler@shawmedia.com Bill Coyle of Johnsburg leans back in his chair while talking with wife Mary-Kay during the Fiesta Days Concert in the Park at Veteran's Memorial Park in Mchenry Thursday, July 19, 2012. 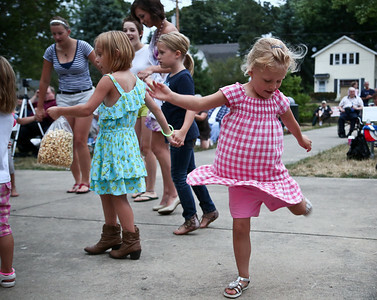 Josh Peckler - Jpeckler@shawmedia.com Grace Bellavia, 4 of Mchenry dances to the music during the Fiesta Days Concert in the Park at Veteran's Memorial Park in Mchenry Thursday, July 19, 2012.